Clean the raw jack fruit / chakkachula and remove chakkakuru / jackfruit seeds, cut off both the bottom and top edges. (reserve the edges to make chakka puzhakku and store chakkakuru for making delicious side dishes ;)). Slice chakkachula / jackfruit into long thin pieces. Heat oil in a big pan / uruli. Add the jackfruit slices in batches and fry until crisp and golden, stirring the oil occasionally so the chips are evenly cooked. 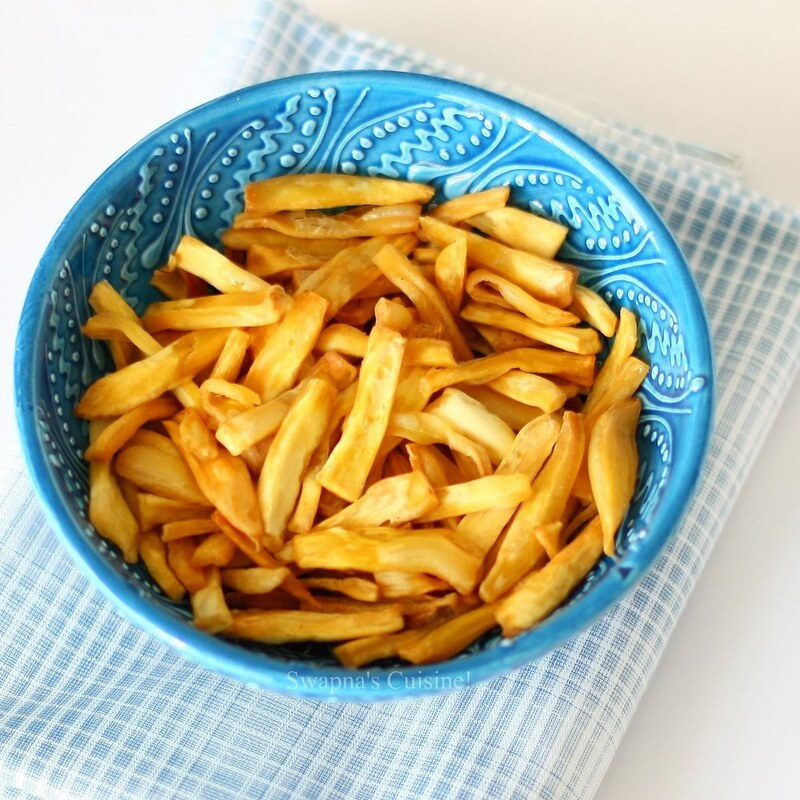 Sprinkle a little salt water into the oil before removing the chips with a slotted spoon. Drain in a deep colander or basket. Spread the chips out on paper to cool and then store in airtight container. Chakka upperi can be stored in the fridge for a longer time. When needed you can just microwave it for a few seconds and use. Sending this to Kerala Kitchen hosted by Divya. Glad to know you got to munch this delicacy while holidaying, even after the chakka season! 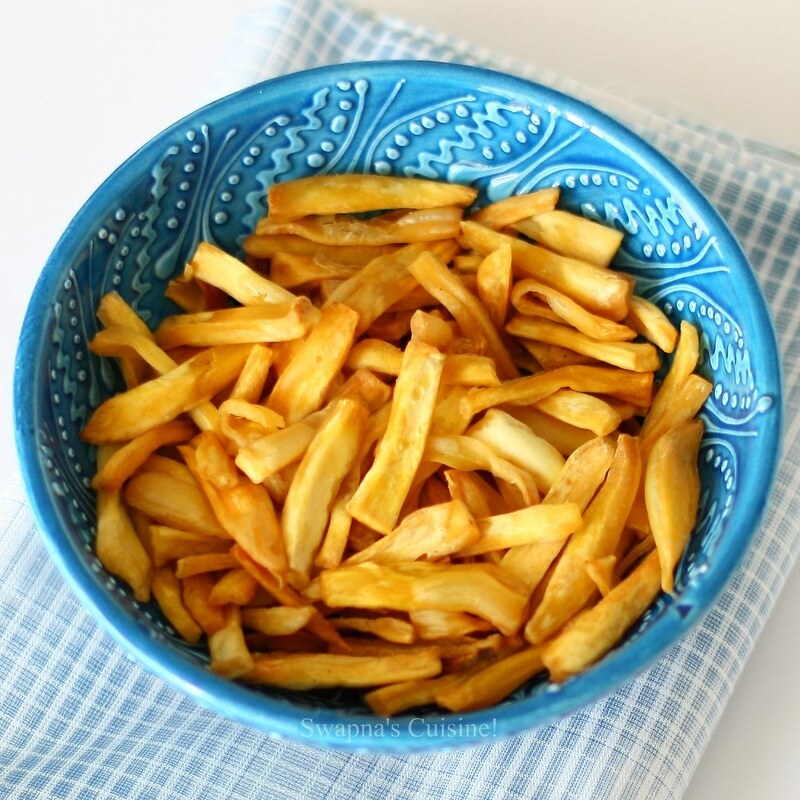 Lovely looking, golden and perfectly fried chips! I could kill for these.. yummy! I used to like it storebought, until I tasted aunthentic Chakka-Chips frm one of Kerala's popular stores..ooh..it was melt-in-the-mouth types..no trace of the aromatic coconut oil on the chips at all..wow..that was something..now these remind me of the same ones! TKs to u n ur aunt for sharing such a wonderful treat!